Not much to update today due to unforeseen events preventing me from getting online. Except of course that I have finally transformed the VF-25G from the starting fighter mode during build time, to the much anticipated Battroid mode. Still lacking hands though and the rifle still isn't made. I also left out the antenna because I didn't want it to accidentally snap off while I tried to transform the VF-25G. 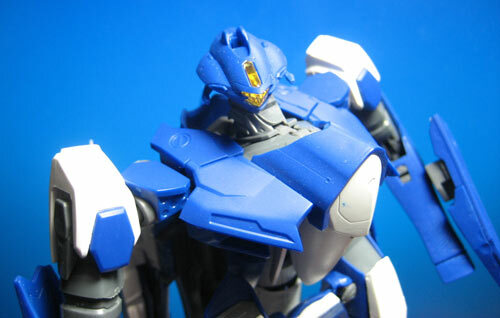 One downside of the transformation was that I got some blue paint on the chest plate. Must have scrapped off from some area which was painted blue during the transformation. Will hopefully have more updates soon.